Lacto P. offers robust probiotic support against inflammatory compounds associated with impaired memory and cognitive decline. The strain has also been shown to increase BDNF to support the health and growth of new brain cells. Daily use of this strain has been shown to support gut bacteria associated with positive mood states. The cultures accomplish this by relieving stress-related gut inflammation and increasing production of calming neurotransmitters in the gut to support a positive mood and relieve stress. This unique strain is known to increase levels of the all-star brain growth hormone, brain-derived neurotrophic factor (BDNF). Higher levels of BDNF are associated with increased intelligence, positive mood, productivity, memory, as well as a decreased risk of various neurodegenerative mental states. 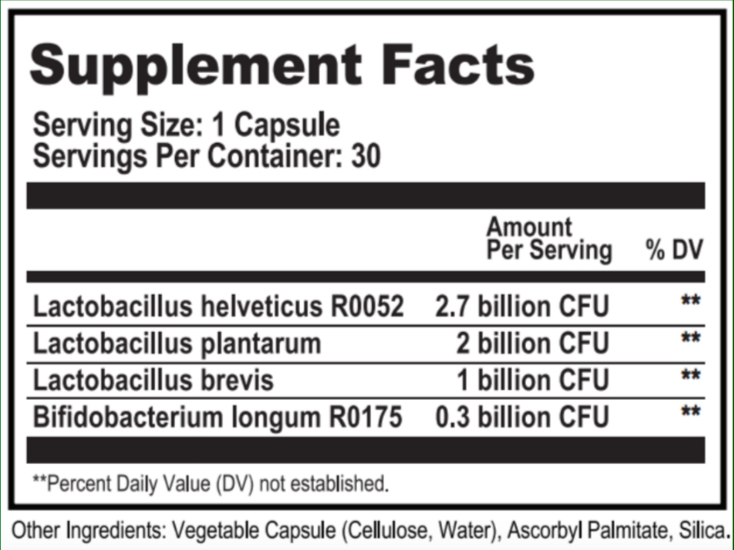 Take 1-2 capsules per day, or as directed by a healthcare practitioner. The microbiome is essential to health, immune function, and plays a major role in the communication between the gut and the brain. Over the past few years scientists have begun to understand the importance of the microbiome in the context of brain function. Studies show that the gut-brain axis (gut-brain connection) is deeply linked with numerous aspects of cognition including mood, memory, and brain health. By targeting the gut-brain axis with key probiotic strains we’re able to activate a positive immune response in the brain while improving cognitive function at any stage of life. 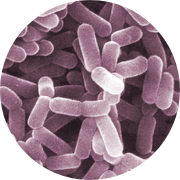 Probiotics are the healthy microbes our gut needs to function at its best. Within the gut is a vast and diverse “rainforest” of hundreds of different bacterial organisms. Over the past 5 years over 4,000 studies have investigated the link between the health of the gut microbiome and the health of the human brain. We’ve long known the gut’s role in immune function and digestion, but only in recent years have scientists discovered the powerful connection between gut and mind. Of all the studies looking at the gut-brain axis, researchers have identified 4 key strains that have been proven to unlock benefits related to mood, memory, brain health, and higher level cognitive functions. With the probiotics found in Brainbiotic™ you can support your brain while supporting your gut at the sametime. 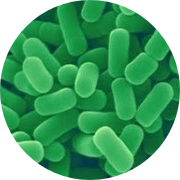 L. Plantarum is a beneficial and versatile probiotic strain, able to survive stomach acid with ease, allowing it to reach the colon fully active and intact. 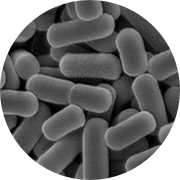 Here, the probiotic strain is effective at maintaining, restoring, and balancing the gut microbiota. L. Plantarum also plays a key role in regulating inflammation. Daily supplementation was found to reduce production of inflammatory cytokines and reduce oxidative stress in animal models . 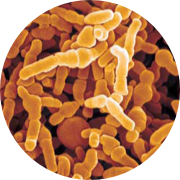 L. Brevis is one of the most well-studied probiotic strains known to influence human health and cognition. The predominant culture in sauerkraut and pickled vegetables, this strain is well known to increase immune function and fight bacterial infection, in addition to its unique effects on the central nervous system. This suggests that L. Brevis may restore healthy brain function in elderly populations, possibly to levels greater than healthy young individuals. These are two of the most effective probiotic strains to promote a positive mood, reduce stress, and relieve anxiety and depressive symptoms.